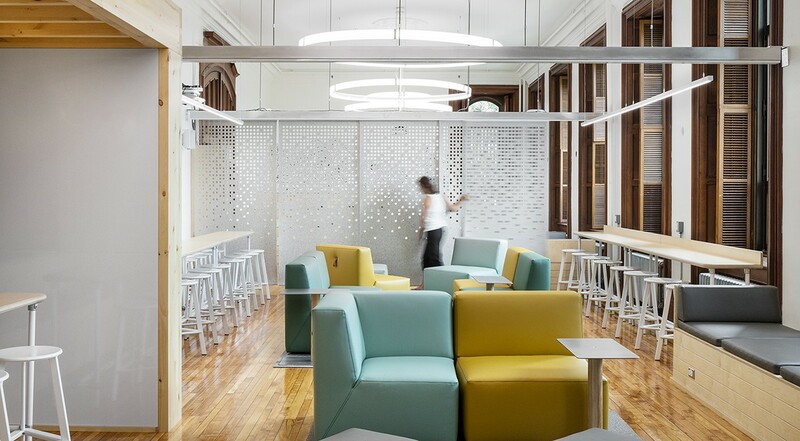 In the student lounge of the boarding school Pensionnat Saint-Nom-de-Marie in Montréal, Taktik Design left the historic architectural details but took a decidedly contemporary approach. 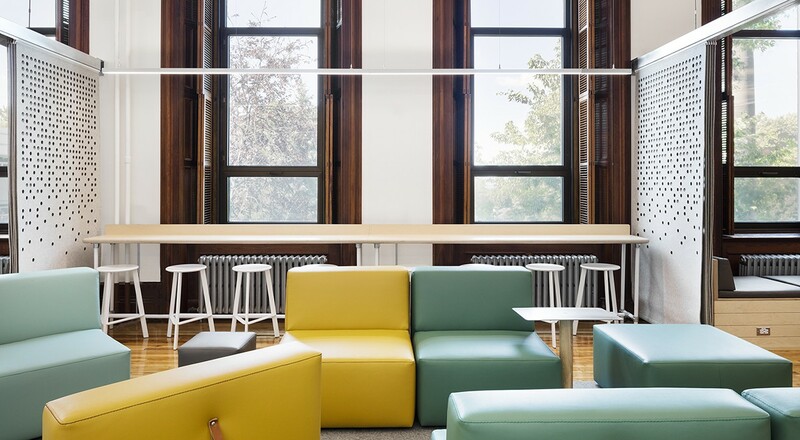 The ample space is divided into three sections: relax, dialogue, and work in groups. 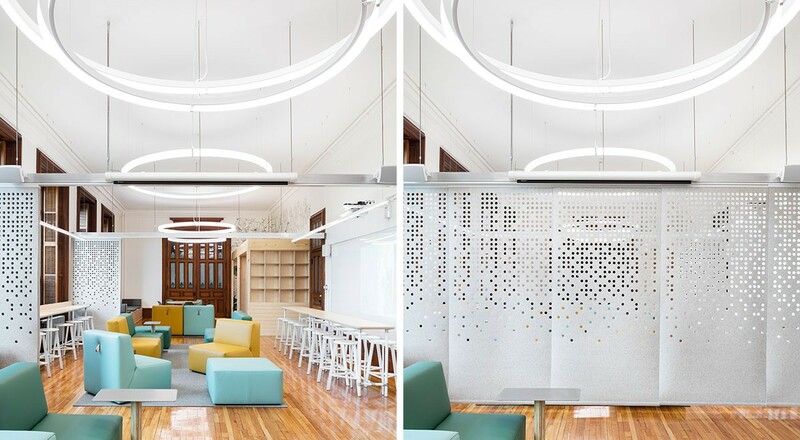 Since multiple functions may take place at once, Matrix Hanging Panels divide the space at a moment’s notice plus provide some acoustic relief. 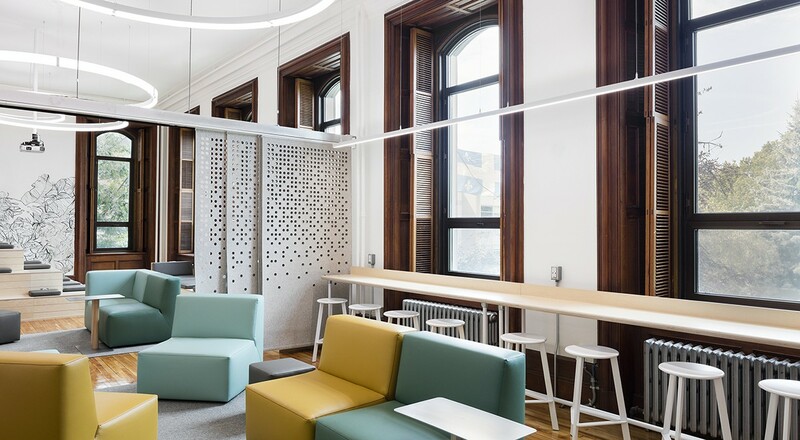 The perforation pattern allows light through at the top while the solid lower section provides acoustic and visual privacy. And when not needed, the panels simply stack to one side and out of the way. For more information on the products featured, please visit Matrix Hanging Panel and Hanging Panel Track System.